Nikolai Nadirashvili, a famous mathematician, a member of the MMJ editorial board, and our dear friend, is fifty. One of the best students of E. Landis, he owes a lot and has given even more to the latter's seminar in the 1970s. The construction of a complete negatively curved minimal surface in a ball in R3, thus settling in the negative the well-known conjectures of Hadamard and Calabi–Yau. The resolution of the long-standing 1877 conjecture of Lord Rayleigh, establishing an isoperimetric inequality for the principal frequency of a clamped plate with a given area. The positive solution of two conjectures of Littlewood, who conjectured that a continuous bounded function in a bounded planar domain need not be harmonic if its value at every point x is equal to the circular average along at least one circle centered at x and lying in the domain; he also conjectured that such a function is harmonic if the circle is replaced by its interior disk. Nadirashvili also gave far-reaching extensions of these results. An extensive study of upper bounds for eigenvalues of the Laplacian on surfaces with fixed area. A sharp upper bound for the first eigenvalue was established by Hersch for the sphere and by Li and Yau for the projective plane. Nadirashvili solved this problem for the torus and for the surface of genus 2 and made major contributions to its solution for the Klein bottle. He also established a sharp upper bound for the second eigenvalue on the sphere. The calculation of upper bounds for the multiplicity of small eigenvalues on the sphere, torus, projective plane, and Klein bottle. He studied the principal eigenvalue of the Laplacian with large drift. The proof of the fact that the set of critical points of a nonconstant harmonic function on a smooth n-dimensional manifold has locally finite (n−2)-dimensional Hausdorff measure, answering a natural question arising from the work of Caffarelli and Friedman (the real-analytic case being settled by Hardt and Simon). He constructed a Schrödinger operator in R2 with summable potential having a solution with compact support, answering a question by T. Wolff. The construction of a metric on the 2-torus together with a sequence of eigenfunctions with growing energy and bounded number of critical points, answering in the negative a question of Yau. He has solved the “hot spot” conjecture of Rauch for domains with two axes of symmetry (showing that the maximum and the minimum of a Neumann eigenfunction with the least nonzero eigenvalue occur on the boundary). Nikolai also studied “quasi-symmetry” properties of high-energy eigenfunctions of the Laplacian. The proof of Lavrent'ev's conjecture claiming the uniqueness of solutions of the Neumann problem with oblique derivative for the Laplacian. Nikolai studied the oblique derivative problem (with a bounded measurable oblique field) for elliptic operators in nondivergence form with bounded measurable coefficients. He established the Harnack inequalities and a priori estimates for the Hölder norms of solutions, with important applications to nonlinear problems. The proof of nonuniqueness in the martingale problem in dimensions higher than two by constructing two distinct “good” solutions of the Dirichlet problem in nondivergence form with measurable coefficients, thus solving well-known problems of Stroock–Varadhan and Fabes in the theory of elliptic equations. 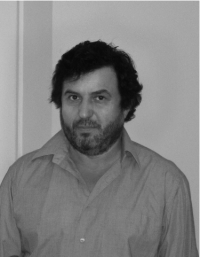 To sum up, Nikolai Nadirashvili has an uncommon interest in and understanding of difficult analytic problems. One can hardly overestimate the novelty of his approaches and his deep impact on the mathematical community. His open amiable personality, kindness, and serious and deep approach to nonmathematical problems attract our hearts. Many happy returns of the day!